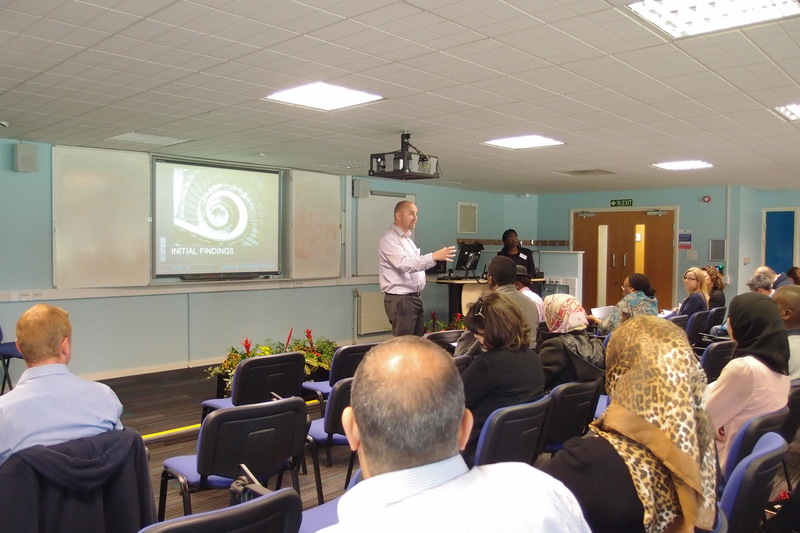 The 2015 annual research student and early career researcher conference, run by the University of Northampton Graduate School and held last Wednesday 17th June, attracted almost 100 research staff and students through the door. A broad array of high-impact research topics were presented, from research on socially responsible businesses to the issues surrounding withdrawing treatment from neonates. A representative from every School presented their research, students in their first and final year, full and part time students, plus papers from an early career researcher working at the University. The theme of the day was Research Integration, and papers fell under the four broad themes of Teaching and Learning, Science Impact, Social Responsibility and Language. The conference organisation panel included a small group of research students, who set the theme of the conference, selected papers and helped produce the programme. Professor Simon Denny delivered an opening welcome speech and announced the winners of the Graduate School’s Images of Research Competition, which was held from January to May 2015. Full details of the research presented at the conference can be found here. Posted on June 23, 2015, in Conferences, Events and tagged Early career researchers, Graduate School, PGR & ECR conference, Postgraduate research students. Bookmark the permalink. Leave a comment.